I spent some time a couple of weeks ago looking for an extender slip tutorial for a friend and never once thought to post it here. That is until I saw it over on UCreate? 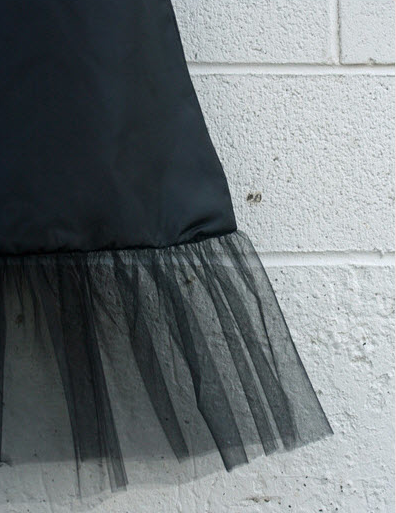 An extender skirt does just what it says, extends the length of a skirt if you want just a little more coverage. But if you make one for your kiddos it can actually extend the life of a favorite outfit. 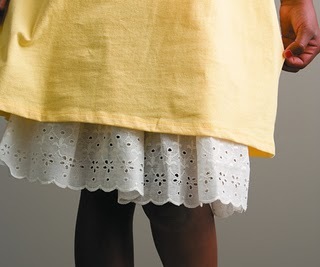 When they grow a little tall for that favorite dress, toss one of these underneath. Eyelets, tulle, ruffles, just about anything will make a cute extender skirt. You can check out the extender slip tutorial over on iCandy and if you are more the buying type then the making type, Vintage Hem has a great selection.